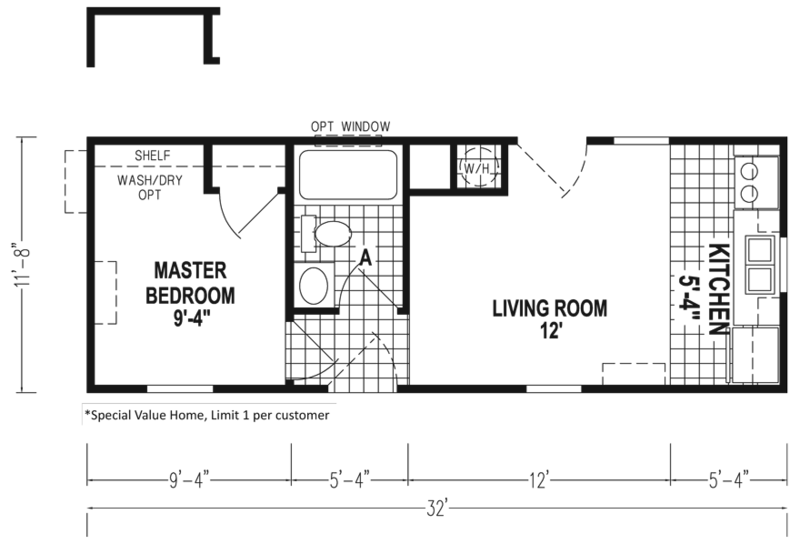 Enjoy browsing our impressive collection of Single Wide floor plans. Single Wides, also known as Single Sections, range from the highly compact to the very spacious and come in a variety of widths, lengths and bedroom to bathroom configurations. The collection below represents a full cross section of Single Wide mobile homes in every available series. Click on any model below to learn more about each model’s standard specification level.